Create spaces people love to live, work, and play in Interior design is more than just arranging furniture. It has evolved into a multifaceted profession dealing with complete environment that not only please but enhance the health and safety of the user. Like other interior design programs, we encourage creative vision and develop your design skills- but creativity alone won't make you a successful working interior designer. At inifd kondhwa Pune, we emphasize the practical skills you need to get your project done. By the time you graduate , you'll be able to envision great spaces- and know how to build them, too. INIFD Interior Designing Course in Pune, has been preparing students for success for more than 21 years. This rigorous, multidisciplinary program combines the academic study of the history and theory of interior design with practical, hands-on projects. In classes taught by industry professionals, you'll learn drafting techniques, computer modeling, lighting, and materials and methods, with an emphasis on sustainability and user health and safety. Earlier architects would do all the design work, both exteriors and interiors themselves. Of late people have become more conscious of the design, layout and placement of their interiors, for offices, factories as well as residences. 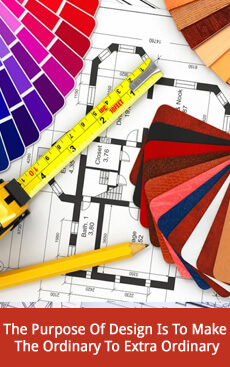 This has opened the door for a large number of qualified interior designers. As one of the premier INIFD Interior Designing Institute in Pune INIFD has the privilege to announce its association with one of the most prestigious institutions LST which is located in Milan (Italy). It is one of the pioneering Institutes of Design through which a number of students have launched prestigious careers in the field of Interior Design. Eligibility- Pre- University /10+2 Passed out or an equivalent examination.